The get-rich-quick exuberance of the late nineties may have temporarily blinded us to how dependent we are on one another. Subsequent events serve as reminders that the strength of our economy and the security of our society rest on the bonds that connect us. But what, specifically, are these bonds? What do we owe one another as members of the same society? 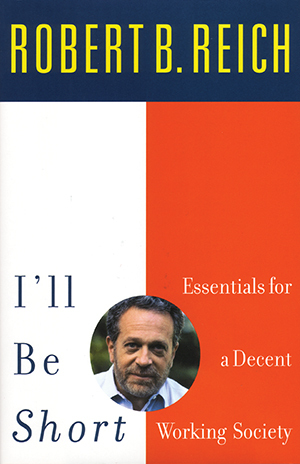 With his characteristic humor, humanity, and candor, one of the nation’s most distinguished public leaders and thinkers delivers a fresh vision of politics by returning to basic American values: workers should share in the success of their companies; those who work should not have to live in poverty; and everyone should have access to an education that will better their chances in life. An insider who knows how the economy and government really work, Reich combines realistic solutions with democratic ideals. Businesses do have civic responsibilities, and government must stem a widening income gap that threatens to stratify our nation. And everyone must get involved to help return us to a society that works for everyone.